(VIENNA, VA., October 31, 2016)—THE Journal, published by 1105 Public Sector Media Group, is pleased to announce the winners of the second annual Readers' Choice Awards. For THE Journal's annual Readers' Choice Awards, education technology professionals voted for the software, hardware and services they consider most vital to the job of educating and supporting America's 50 million K-12 students. "More than 1,000 of our readers — technology-using educators — selected the gear, software and brands they see as most valuable to the mission of education," said David Nagel, editor-in-chief of THE Journal. "We congratulate all the winners and thank them for having such a positive impact on K–12 schools." THE Journal is the premier resource for K-12 senior-level district and school administrators, IT administration and instructional technologists who make decisions and influence technology purchases for their districts, schools and classrooms. (VIENNA, VA, October 27, 2016)— 1105 Public Sector Media Group announced the appointment of Kris Osborn as Editor in Chief of Defense Systems. "We are delighted that Kris is joining Defense Systems and the Public Sector team at 1105 Media. He brings imagination, energy and creativity to a job that requires knowledge of technology, military culture and emerging communications. It is a rare blend of skills, and we are looking forward to his applying those skills to covering these exciting times and continuing to grow the Defense Systems audience," said Anne A. Armstrong, Co-President and Chief Content Officer at 1105 Public Sector Media Group. Osborn's career spans 20 years as a print and TV media journalist, editor, researcher, communications and media specialist. He is a former CNN Headline News anchor, Fox News correspondent, senior level Army civilian, military analyst, speechwriter, media affairs official and military modernization and technology specialist. "There are no limits to my enthusiasm about joining Defense Systems at this time of rapid technological change," said Osborn. "The leadership at 1105 Public Sector Media Group has an impressive track record of knowing how to identify and generate relevant, added-value content to a substantial and growing readership. I am very grateful and excited about the opportunity to join this impressive team. I look forward to covering the many evolving nuances of various 'defense systems,' such as developments with IT, C4ISR, networks, drones and larger platforms." DALLAS, October 12, 2016 – HME Business, the top business management media resource for HME professionals, announced the winners of its 2016 New Product Awards competition today. The HME Business New Product Award honors outstanding product development achievements by HME manufacturer and service providers. Fifteen winning products were selected in the third year of this program. Winners will receive awards and will be recognized at the 2016 Medtrade Fall Expo in Atlanta, which runs Nov. 1 to 3. They will also be featured on the HME Business website, hme-business.com, and will be featured in the December 2016 issue of HME Business magazine. The magazine is distributed to more than 17,000* subscribers monthly as well as at key industry trade events such as Medtrade, and its website is visited by thousands** of HME industry professionals every month. "It is exciting to see how many outstanding products are being introduced in our industry, especially in the mobility and respiratory categories," said David Kopf, editor of HME Business magazine. "The entries demonstrate that today’s manufacturers and business service companies serving the HME industry are giving providers the tools they need to survive and thrive despite a difficult reimbursement and regulatory environment. We were very pleased to see all the entries and look forward to seeing even more next year. "I’d also like to thank our panel of provider judges," Kopf added. "A strong selection of highly experienced providers specializing in a range of product categories help make these awards the special recognition that they are." 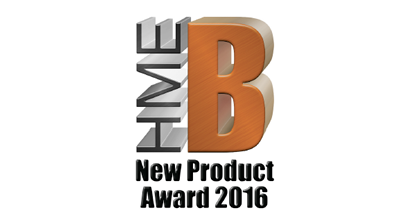 Information about the 2017 HME Business New Product Award will be available at hme-business.com in the spring of 2017. The magazine's eighth annual contest drew a record number of entries and 28 winning products. Winners will be recognized at this year's National Safety Council Congress & Expo in Anaheim, California. 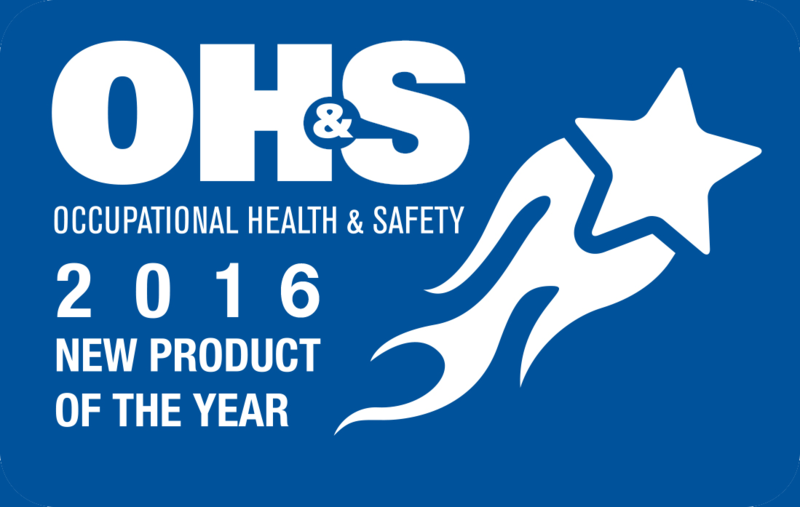 DALLAS, September 20, 2016 – Twenty-two companies, including multiple winners Avery Products Corporation, CBS ArcSafe, Inc., Honeywell, and Ringers Gloves, were honored today for winning Occupational Health & Safety magazine's eighth annual New Product of the Year contest. Winners will be recognized with awards during the 2016 National Safety Congress & Expo taking place in Anaheim, California October 17-19. This year's contest attracted entries in 21 award categories, with an independent panel of three highly qualified judges choosing the winners. "Now in its eighth year, our New Product of the Year contest is a highly significant event for safety manufacturers, who submitted a record 84 entries this year. The exceptional quality and breadth of the 2016 entries is a testament to the ingenuity of these manufacturers as they compete in this fast-growing global market. Informing our readers and online audience about the best new products available to solve their key safety and health challenges has always been part of our magazine's mission, and this contest has become an essential extension of our outreach to the audience we serve. Many categories were hotly contested this year, especially the Hand Protection category, in which an unprecedented five products tied for the award," OH&S Editor Jerry Laws said. "I congratulate all of this year's entrants on their fine work and thank them for participating. We hope they and many other manufacturers will enter our ninth annual contest next year, as well." The 2016 contest's judges were Vince Marchesani, Ph.D., President and CEO of Environmental, Health and Safety International LLC; Chuck Paulausky, CHMM, President of CPSE LLC, a consulting firm specializing in OSHA and EPA compliance and loss control for small to medium-sized businesses; and Linda J. Sherrard, CSP, MS, Safety Consultant II for the Central Prison Healthcare Complex (NCDPS) and former technical editor of Occupational Health & Safety. In addition to being honored today, the winners are featured on Occupational Health & Safety's industry-leading website, ohsonline.com. (VIENNA, VA., September 14, 2016)— 1105 Public Sector Media Group is pleased to announce that the results of the 2016 Campus Technology and THE Journal "Teaching with Technology” surveys have been published. In the inaugural Teaching with Technology surveys, Campus Technology readers (primarily higher education educators) and THE Journal readers (primarily K-12 educators) were asked to provide their feedback for the technologies they use in the classroom. The pioneering surveys allowed Campus Technology and THE Journal's editors to explore educators' preferences, level of confidence in their abilities, belief in technology as a teaching and learning tool and their outlook for the future. The two research studies found that, on the whole both K-12 teachers and college/university faculty members value technology both as a tool for teaching and learning and as a means of making their jobs easier. In the K-12 survey, a full 92 percent of respondents said technology has positively affected their ability to teach, and 88 percent of them favor schools providing devices to all students. Eighty-fiver percent said tech has made their jobs "easier” or "much easier.” The K-12 survey included 1,307 qualified respondents, 84 percent of whom work for public school systems. On the higher education side, 77 percent of respondents said tech has made their work "easier” or "much easier.” Eighty-eight percent said technology has positively impacted their ability to teach. The higher education survey included 524 qualified respondents, 69 percent of whom work for public institutions. "We surveyed faculty members across the country to find out how they feel about technology in the classroom, what devices are most valuable for teaching and learning, their wish lists and gripes, their outlook on the future and more,” said Rhea Kelly, executive editor of Campus Technology. "Overall, their responses revealed a positive outlook on technology — but also provided a reminder that education must be the core goal of any tech initiative on campus." The full results of the Teaching with Technology Survey appear in the August/September digital issue of Campus Technology: https://campustechnology.com/currentissue and in the September issue of THE Journal: https://thejournal.com/currentissue. (Vienna, VA, September 7, 2016)— GCN is pleased to announce the finalists of the 2016 GCN dig IT Awards. For 28 years, the GCN Awards have showcased general excellence in government IT. This year, with the GCN dig IT Awards, we are sharpening the focus to showcase what matters most: transformative tech that is truly reinventing government. The 2016 awards will celebrate leading—edge technologies and the pioneering IT professionals who are driving them forward. The finalists will be profiled in the coming weeks in GCN and on GCN.com. They also will be honored in person at the GCN dig IT Awards Gala on October 13th, at the Ritz-Carlton in Tyson’s Corner, VA. The overall winner in each category, as selected by our judging panel of top government IT innovators, will also be announced at the October 13th Gala. For more information on GCN dig IT Awards sponsorship opportunities please visit https://gcn.com/digIT. DALLAS, August 23, 2016 -Security Products magazine, the only integrated product and technology magazine reaching the entire security market, and securitytoday.com, the preeminent editorial website for the security industry, announced the winners of their 2016 New Product of the Year Award today. Winners will receive awards and will be recognized at ASIS International 2016 in Orlando, Florida September 12-14. They will also be featured on the security industry leading website, securitytoday.com, and will be highlighted in the December 2016 issue of Security Products magazine. Entries are showcased in the September 2016 issue of Security Products magazine. The magazine is distributed to more than 66,000* subscribers monthly as well as at key industry trade events such as ASIS, and its website is visited by thousands of security professionals every week. "The New Product of the Year contest gives us a terrific sampling of security solutions available now," said Ralph C. Jensen, editor in chief of Security Products magazine. "Our juried judges do an excellent job of compiling and assigning a score for each entry. I applaud those who entered this year for introducing the best of the best security systems. It is always exciting to view the entries and then release information about the winning entries. However, it should be noted that all new products are important and might be able to fit into your security scheme." 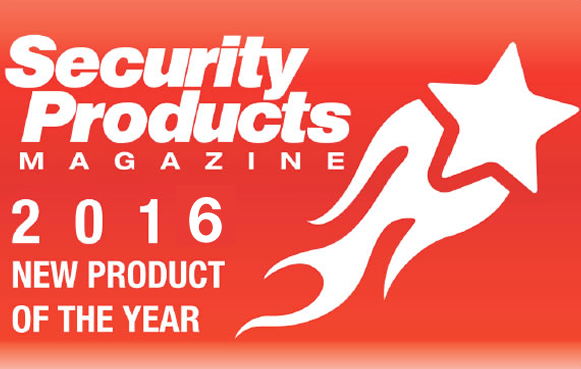 Information about the 2017 Security Products New Product of the Year awards will be available at securitytoday.com in the spring of 2017. (VIENNA, VA., August 5, 2016)— 1105 Public Sector Media Group is pleased to announce that voting for the 2016 THE Journal Readers' Choice Awards is now open. In THE Journal's second annual Readers' Choice Awards, THE Journal subscribers are asked to vote for the software, hardware and services they consider most vital to the mission and business of K-12 education. Votes can be entered at thejournal.com/readerschoice before August 31. "Our second-annual Readers' Choice Awards give educators, administrators and education technology professionals the chance to speak out in support of the tools that make a difference in the effectiveness of teaching and learning and in the efficiency of school and district operations," said David Nagel, editor-in-chief of THE Journal. "Hundreds of products have been nominated in dozens of categories, and education professionals can also write in their favorites." The winners will be featured on THEJournal.com and will appear in the October issue of THE Journal. For more information on the THE Journal Readers' Choice Awards and to cast your vote, please visit at thejournal.com/readerschoice. (VIENNA, VA., August 4, 2016)— 1105 Public Sector Media Group is pleased to announce that voting for the 2016 Campus Technology Readers' Choice Awards is now open. In Campus Technology's second annual Readers' Choice Awards, Campus Technology subscribers are asked to vote for the software, hardware and services they consider most vital to the mission and business of higher education. Votes can be entered at campustechnology.com/readerschoice before August 31. "At Campus Technology we hear about products all the time — in the news, at trade shows, on the web. But with our annual Readers' Choice Awards, we get to view products from a completely different perspective — that of the individual user," said Rhea Kelly, executive editor of Campus Technology. "It's a great way to find out what people think about the myriad technologies used in higher education today." The winners will be featured on CampusTechnology.com and will appear in the October issue of Campus Technology. For more information on the Campus Technology Readers' Choice Awards and to cast your vote, please visit at campustechnology.com/readerschoice. Campus Technology is one of higher education's top information sources, with distribution across a website, monthly digital magazine, newsletters, webcasts and online tools. It's the go-to resource for campus professionals, providing in-depth coverage on the technologies and implementations influencing colleges and universities across the nation. Content includes valuable hands-on articles, best practices, industry trends, expert advice and insightful articles to help administrators, campus executives, technologists and educators plan, develop and successfully launch effective IT initiatives. "Traditional lead generation is on its way out the door," Rajeev Kapur, CEO of 1105 Media and a keynote speaker at SIIA's upcoming Business Information & Media Summit (BIMS), Nov. 14-16 in Fort Lauderdale, told me recently. "Over the next couple years it's going to be challenged. If you continue to do lead gen the same way over time, you'll fall behind. The folks providing the leads—i.e. 1105—need to do a better job of providing leads. "Our customer base is starting to change. Our customers, the people receiving leads, they have a challenge with thinning staffs so they want us to do more. [That means] providing more value in the leads. In the next 2-3 years or not sooner the traditional lead gen model is probably gone and replaced with something entirely different. That's why when I came aboard and talked to customers, we started to look at new ways to evolve and today we're working on a new technology platform to roll out for customers." Kapur will speak more to this at BIMS. He has quite the interesting background—many years at Dell, co-founder of a technology company, CEO of an audio company. But 1105 Media was his first plunge into the world of B2B media. "I wasn't necessarily looking [to move] at the time, but I knew the executive chairman of 1105 pretty well, and they were looking to make a change and reached out to me," he said. "And ultimately what they wanted to have I've done before. They wanted someone from outside of the industry who could come in with a fresher perspective and new thoughts—effectively build a new foundation and a great team." CONNECTIV: Did coming from outside help in this case? KAPUR: I think it did and it still does. I didn't come with a lot of preconceived notions. I have a quote that I tell people, that most companies are challenged not because they did the wrong thing, but they did the right thing for too long. That's true for industries as well. I remember back when I was with Dell around 2004, thinking that unless something drastically changes, it's going to be a challenge here. We're going to have to embrace a whole new market. Every once in a while companies have to reinvent themselves. How does a company's size affect its growth? Obviously, the smaller you are the more nimble you can be. I have a philosophy that in order to do this—to focus and lift the business—you need a strategy. And you have to have a culture that can support that strategy. Then it's about execution and focus. At 1105 we focus a ton on the culture and getting the best out of people—while asking, "How do we look at this from the voice of the customer?" We're strong in the data analytics world and an example of listening to the customer is that we launched virtual e-learning—a paid model in our TDWI business. And this is where data becomes so important? It's all in the interpretation—what are the tools that you need? How do you understand the trends properly? Data is important but if you can't measure it, you can't manage it. You also can't forget the voice of the customer. So yes data analysis is real hot, but if you don't know how to use it, it will cripple your business. I'm a huge basketball fan. The Lakers were criticized for not moving fast enough in the world of analytics like the Golden State Warriors. But there's a happy medium. In the end you have to pass the eyeball test. Data analysis doesn't tell you if [NBA first draft pick] Ben Simmons is a good dude. You need good instincts as well. You've also talked before about the importance of influence. People in the publishing industry have to understand that it's going to be about influence. How is your brand influencing others? How are companies going to show their influence—that's what will set them apart. Over the next few years, millennials will start to make more headway, and their habits are totally different—80% prefer to text not talk, 67% learn how to do things by watching YouTube, and 48% want to own their own business. "If you want me to buy your product, let me help you design it." They're going to be an incredible generation. Has the funnel been inverted? Yes, but the idea of listening to the customer is not new. What's new is that tech is making that easier. One takeaway is that if you don't embrace [the kind of] tech that puts you closer to the customer—like virtual learning, more digital, more social—you could miss out on the millennials. Live events will be even more important because they will provide a place for the next generation to meet. Instead of going to a classroom and learning something, they'll do that virtually, and then congregate at an event. So events will continue to grow? Yes. The events business will continue to grow exponentially with the addition of virtual education and e-learning. This will cause a domino effect across all aspects of the industry and there will be a consolidation again. Understanding the customer will be more important than ever and big data is going to play a key role in that changing landscape, be it with lead gen, events or marketing services. We've talked about lead gen, data, tech, but does it still come down to content? As the demographics start to shift, you can't sleep on having great content. I was recently at a conference a while back when someone claimed that millennials don't have attention spans. I have two millennial sons, and they'll binge-watch a show for hours. So it's not the attention span that's the issue, it's the content… Internally we are constantly looking for new ways to deliver content that's relevant and provides great take-home value. I've written a lot about "failing fast" and the importance of developing new products. But how do you make your employees feel safe enough to try new things? I tell everybody that works for me that I'd rather have them try and fail than not try. And that I want them to make a decision. We can fix a bad decision; we can't fix a no-decision. No one will ever get fired for trying something new or for failing at something they tried to do. I reward people who try, people who think outside the box. I am doing everything I can to empower my team all the way down the chain to say, "Look, this is what we need to do for the customer." If you look at our Acquire Show in Washington, D.C, that was something the team had been thinking about for a while when I joined. I said, "Let's do it." You must be a popular CEO. My job is to hire the best people, give them the tools to do their job, remove obstacles when needed and get out of their way. I'm happy to say that when I walk in the room I'm not the smartest person in the room. If you're a leader and you walk into a room and you are the smartest person, that's a problem. But what I'm good at is creating a culture, listening, coming up with ideas, and helping my team grow and achieve goals.